Join me in a free webinar where I will talk about an alternative approach. Something that will help integrate risk management into everything the business does, not weekly, monthly, quarterly, but every day. I believe risk analysis doesn’t need to happen before, during or after the strategic planning takes places, I believe it has to change the very nature of existing business processes. And that is why is so, so, so difficult, because management will actively resist any changes to their business processes. In this free webinar I will talk about integrating risk management into decision making by sharing some practical steps on how to move from standalone risk management to risk-based decision making. How to audit risk management? 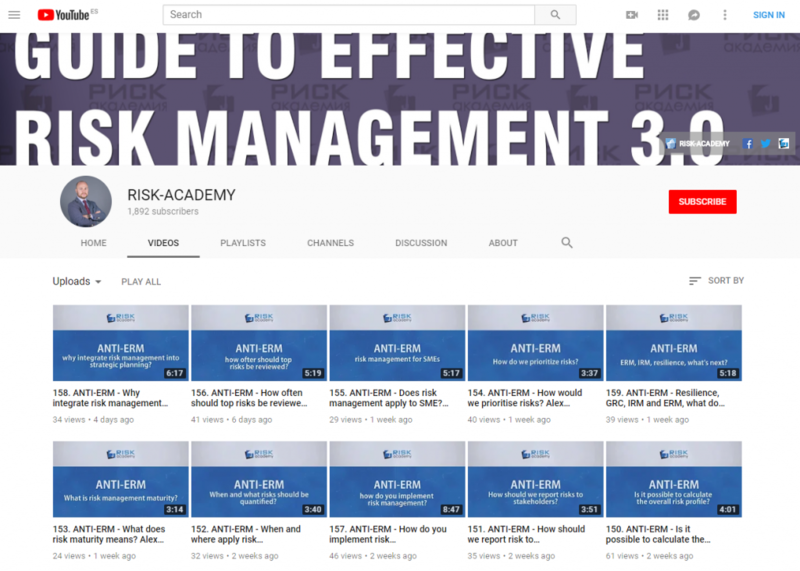 Join me for another RISK-ACADEMY free webinar to talk about four risk management effectiveness criteria, based on the ISO31000:2009 of course, because I am a fan To learn how to audit/validate risk management effectiveness in non-financial companies in 4 simple steps register today. I will also talk about the upcoming G31000 risk management maturity model, an amazing tool to audit / validate risk management in any company.